Tolkien scholarship has really gained steam in the past decade, as more and more scholars (and universities) begin to take Professor Tolkien’s writings seriously. There was an early attitude amongst serious literary critics and institutions that Tolkien’s writings were little more than “escapist” literature, and did not belong as part of the established “literary canon”. Edmund Wilson, who was perhaps the pre-eminent American literary critic of the Twentieth Century, set the onus on Tolkien with his scathing review of The Lord of the Rings in 1956, in which he termed it “juvenile trash”. Several other critics followed suit, and JRR Tolkien, despite his tremendous reputation as a scholar of languages and mythology, became something of a byword for bad literature. These critics studiously ignored the more favorable reviews of other major literary critics like J.W. Lambert, Herbert Dingle, and W.H. Auden. The tremendous popularity of The Lord of the Rings, particularly its cult following amongst the American hippie community of the 1960’s, further damaged its credibility with the literary community. Only now, in the light of a new Century and more than sixty years after the publication of The Lord of the Rings (and seventy-five since The Hobbit) is the literary community taking a step back to reassess Tolkien’s writings and to tackle them on their own terms. , which first appeared in 1983, both addressed Tolkien’s writings as serious literature. But the end of the century brought about a resurgence in Tolkien scholarship on numerous levels. The popularity of Tolkien’s writing never waned, and several major polls at the close of the 1990’s and early 2000’s placed The Lord of the Rings at or near the very top of the most-loved books of the Twentieth Century. Many of the literati were angry and stunned, insisting that some of the early polls were skewed by a kind of “voter fraud” perpetrated by the international Tolkien Society. When many later polls turned up similar results, the Tolkien haters quickly went into hiding. Fantasy, as Tom Shippey argues in his more recent study of Tolkien, J.R.R. Tolkien: Author of the Century , was “the dominant literary mode of the twentieth century” (pg vii). And Tolkien has dominated the realm of the fantastic. Verlyn Flieger (who also edits Tolkien Studies) has published several important studies of Tolkien’s works. Bookstores are full of books exploring various angles and aspects of Tolkien and his created world. Colleges and Universities are offering courses and lectures on Fantasy fiction, usually focused around Tolkien and his legacy. Tolkien studies have even spawned a resurgence of interest in Anglo-Saxon language and literature and Norse and Finnish mythology, which served as source material for Tolkien’s writings. For the sake of organization, I’ve split the pages on Tolkien Scholarship. 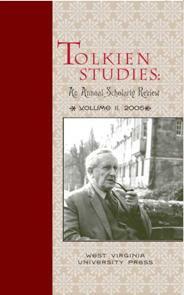 Tolkien Studies – Offers short reviews of various books of Tolkien study. Submit a review or announce a new publication! Would you like to submit a review of a piece of Tolkien Scholarship? Or simply announce the publication of a new piece of important scholarship? Please write your review or announcement in the boxes below. Upon review, your article will be added as a new page on the site – giving you the credit, of course.